A family is torn apart by malevolent spirits. It's the sort of movie in which websites concerning the paranormal all appear to have been designed on geocities in 1999. It's the sort of movie in which every TV set glimpsed is always playing a public domain horror movie. It's the sort of movie genre snobs use as a weapon to beat on horror fans. Poltergeist was a pretty great horror movie, but do you what it needed? Less secularism. That seems to be the attitude of the people behind The Darkness, the latest misfiring mainstream horror flick. 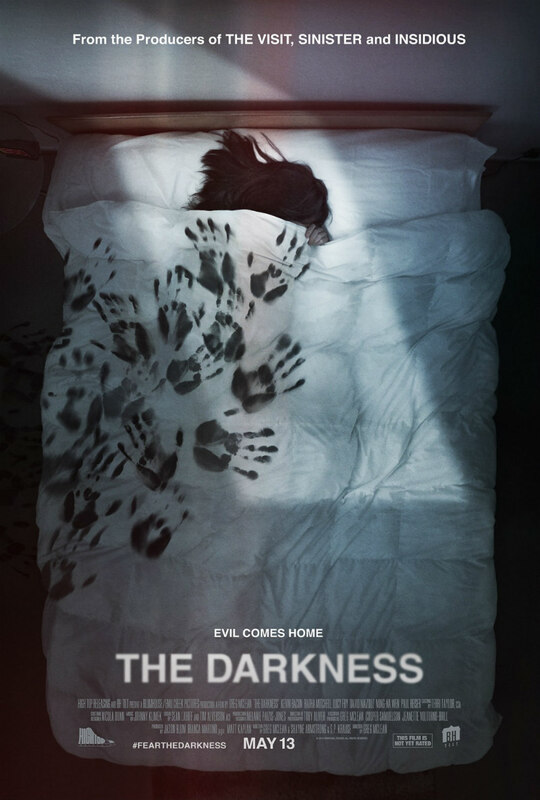 It may be written by a trio of Aussies previously responsible for such capable genre fare as Wolf Creek, Acolytes and Bait, but The Darkness plays like the product of the folks who gave us such Christian propaganda as God's Not Dead and Left Behind. The clichés hit us from the off, as we quickly learn it's those pesky Native American spirits bothering an All-American family once again. While on a trip to the Grand Canyon, an autistic boy, Michael (David Mazouz, best known as the young Bruce Wayne in TV's Gotham), falls into a cavern where he discovers five stones with curious runes engraved on their surfaces. When he takes the runes home, a series of increasingly disturbing events threatens to tear apart his family. The Darkness does its best to offend every group possible. There's malevolent Native American spirits. There's a magic old Catholic Latina. There's a superficial bulimia subplot that goes nowhere. 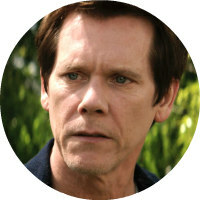 There's a scene in which Radha Mitchell's mother is rushed to hospital but the doctor ignores Mitchell and explains the situation to her husband (Kevin Bacon) instead in a curious twist on 'mansplaining'. There's a 'the world's gone crazy' diatribe between Mitchell and Bacon as they complain about hotel rooms no longer being stocked with compulsory bibles. There's a predatory young black girl who attempts to seduce our white and virtuous married hero. Worst of all is the film's ignorant and insulting use of autism as a plot point. In an early scene, before any of the supernatural hijinks have kicked in, Bacon reaches for his son's rucksack and the boy snaps at him defensively. This moment is scored by a loud cattleprod effect on the soundtrack as though the kid were a masked slasher. The gimmicky nature and cruel treatment of Michael's autism is bad enough, but it's the portrayal of his parents that really stinks. Mitchell and Bacon are clueless as to how to deal with their son's condition, hoping he'll change rather than adapting themselves, as millions of parents of special needs children have in the real world. Michael is roughly 13; meet the parents of any 13-year-old autistic kid and you'll see people who have made massive adjustments to their lives but at this point have it down pat. The Darkness is a gross insult to such people. Of course, just because a movie is morally reprehensible doesn't make it a bad movie. 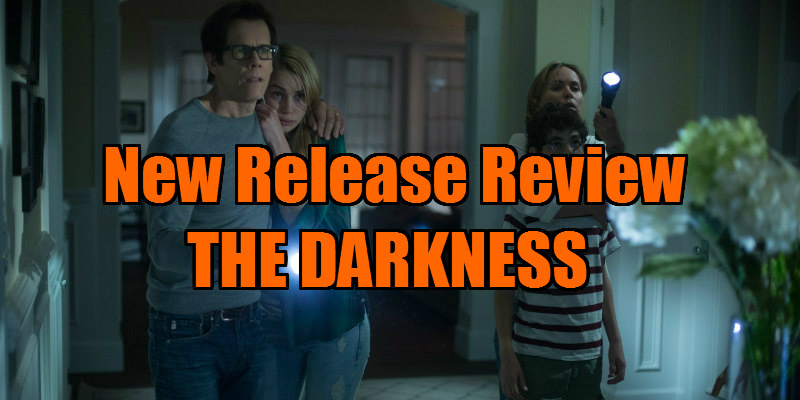 What makes The Darkness a bad movie is its complete lack of originality, combined with cardboard characters and an absence of anything remotely resembling suspense, shocks or scares. It's the sort of movie in which websites concerning the paranormal all appear to have been designed on geocities in 1999. It's the sort of movie in which every TV set glimpsed is always playing a public domain horror movie. It's the sort of movie genre snobs use as a weapon to beat on horror fans. I'm proud to call myself a horror fan; not only is it the most cinematic genre, it's also the most progressive and inclusive. The regressive politics of The Darkness have no place in a genre that's done more to promote women, minorities, the elderly and the disabled than any other. To paraphrase Poltergeist - stay away from The Darkness!